MOSCOW, October 31. /TASS/. 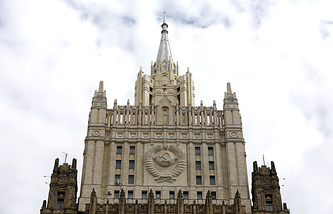 Washington’s sanctions are aimed at elbowing Moscow out of the weapons and energy markets, Russian Foreign Minister Sergey Lavrov said at a meeting with members of the Association of European Businesses on Tuesday. "On the pretext of fighting against a Russian threat Washington not only tries to mend so-called Atlantic solidarity, not only to make Europeans increase defense spending, but also to gain a stronger foothold in the European economy and energy industry, to downgrade our joint projects in energy, and to elbow Russia out of the energy markets. This is precisely what the latest portion of sanctions just made public is aimed at," he said. In his opinion the US-imposed policy of sanctions still remains an obstruction in the way of restoring economic cooperation between Russia and the European countries. "Against the backdrop of resumed economic growth new opportunities are opening up in Russia in front of foreign businesses, including those you represent," Lavrov said. "The US-imposed spiral of sanctions is the main obstruction to this." "It is up to the Europeans to decide if they really need antagonism in relations with Russia. We know that in the EU’s political and business circles discontent over this situation is voiced ever more frequently." The United States is using Crimea and the Donbass region as a convenient excuse for unfair competition, according to Lavrov. 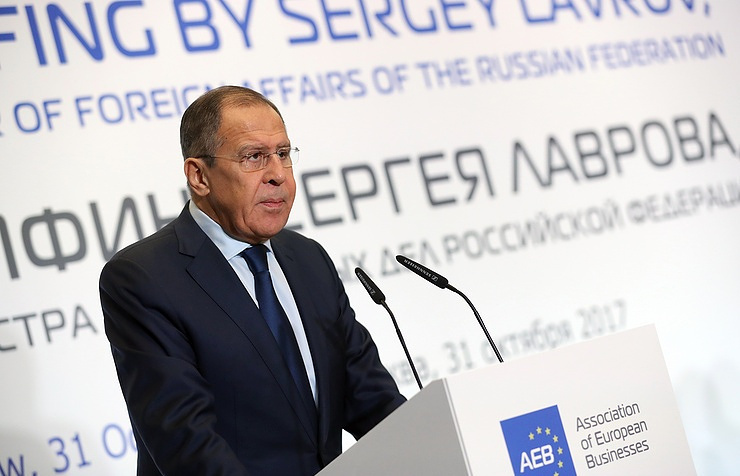 Lavrov gave a number of examples of Washington’s pressure on European companies cooperating with Russia stressing that they have "nothing to do with what Russia is doing," including Crimea’s reunification with Russia or the situation in the Donbass region. "The Americans want to be most successful than everyone else. I understand this desire, but it is very difficult to justify their methods," the minister stressed. According to Russia’s top diplomat, the issue of lifting anti-Russian sanctions by the EU cannot boil down to laying down conditions for Russia. "We cannot and we will not ask to remove them, the more so since we are told that ‘you do something good, and then we will have an excuse to lift the sanctions," Lavrov said. "There is an understanding in this proposal that sanctions are pointless and that this is a totally politicized stance by those who are seeking to both punish Russia and gain competitive advantages for themselves." "This issue does not boil down to the fact that ‘let’s agree on what kind of a peacekeeping mission could be send to Donbass, and, as soon as we reach an agreement, Europeans will have an excuse to begin easing these sanctions," he added.